Amazon’s panel for “The Man in the High Castle” was full of intriguing tidbits about the upcoming third season, giving fans plenty of sci-fi weirdness to ponder while they wait for the show’s return on Oct. 5. 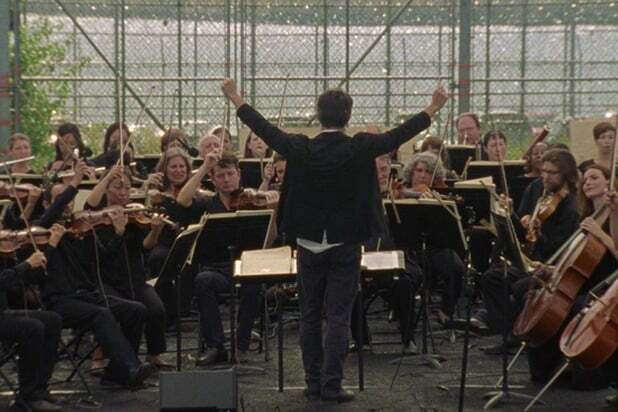 Amazon played fans a new clip from “deep, deep in Season 3” of the show, which takes place in a world where Nazi Germany has taken over much of the United States. The footage finds Alexa Davalos’ character Juliana Crain skulking around in an underground tunnel with her resistance allies, including new main cast member Jason O’Mara, adjacent to what appears to be some kind of Nazi facility. 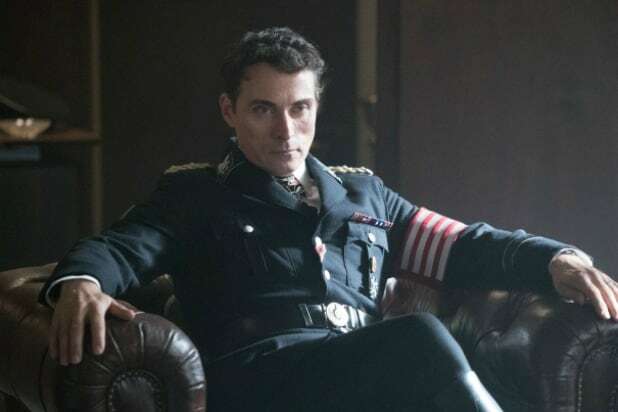 Meanwhile, U.S. Obergruppenführer John Smith (Rufus Sewell) is also in the facility, and a Nazi scientist is sort of vaguely explaining what this place is. The gist is that the Nazis have built the tunnel around an “anomaly,” and they have a machine that interacts with it “perfectly.” What this anomaly is, in fact, is some kind of link or portal to parallel realities — the realities we’ve seen in the films that the titular Man in the High Castle has, and uses to inspire the resistance. So it looks like the characters of “The Man in the High Castle” are figuring out how to travel between parallel dimensions — the dimension in the show in which the Axis powers won World War II, and our own. While Crain and the resistance watch from a hidden location nearby, the Nazis bring in “test subjects” — people — who they load into a rail car to send down the tunnel, toward the glowing anomaly. As the subjects and their cart approach it, though, everything starts shaking, creating interference that messes with nearby computers, creates intense magnetism and, once the test subjects reach the anomaly, causes the power int he room to go out. And that’s where the clip ends. We got more breadcrumbs that provide some context for that scene during the panel as the cast discussed what’s happening in this season. According to Davalos during the panel, in Season 3 of “The Man in the High Castle,” the Nazis are hoping to invade the other parallel realities — and conquer them. Davalos also mentioned other “versions” of her character Juliana Crain, so it seems not only will characters in the show venture into other realities, but some of them may also encounter parallel versions of themselves, as well. Speaking of which — Sewell hinted on the panel that his own character, John Smith, has an ulterior motive for seeking to enter the parallel universes the Nazis discover through the anomaly. He said that Smith may not be totally happy with the Reich these days, but is going to stick around regardless for the sake of his family. Sewell said specifically that Smith is intrigued by the possibilities that are presented by the existence of parallel versions of himself. Hackett also said the release date for the show, Oct. 5, is significant, but didn’t elaborate as to why. “The Man in the High Castle” leans heavily into themes of political resistance — the official season hashtag is #ResistanceRises — so it could be the date matters because it’ll position the show just ahead of the 2018 U.S. midterm elections. It seems Season 3 will also show fans more of the U.S. than they’ve previously seen before. Executive Producer Dan Percival said the season will mostly take place in America, and will show more of the “neutral zone” between the side of the country ruled by the Nazi and the territory held by Japan. Finally, Hackett revealed another big bombshell: Season 3 will definitely for sure not be the end of “The Man in the High Castle.” Amazon has renewed the show for another season, and pre-production on it has already begun.